Firearms Training at its Best! 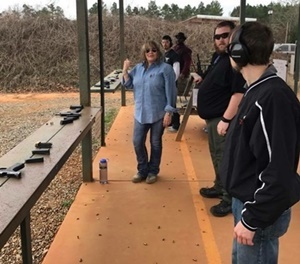 Price's Cowtown Training Academy is a professional firearms training organization committed to providing individuals with the necessary skills for defending against a lethal threat. That you will be confident in your ability and have the essential mindset to handle such a situation. As more departments and agencies are faced with shrinking budgets, it becomes imperative that each allocate those monies available in the most efficient manner possible. Each department head or purchasing supervisor must take great care to insure that every service or item of equipment that is received is the best value for the tax dollars spent. Our team of professional instructors can develop a program for you and bring that program to your facility. This saves on travel, lodging and overtime coverage expense while keeping your officers available in the unlikely event that they need to be called back into service. Please see Calendar for Courses currently available. We will also come to your location to train groups of 10 or more. I will be unavailible March 11-15 and again March 18-22 for training at ILEETA in St. Louis. Thank you.